Among the many tragedies that await many children once they are torn from everyone they know and love and forced into foster care is the prospect of being needlessly doped up on potent, sometimes dangerous psychiatric medications. It is a frequent topic of newspaper exposes, including this one from reporter Karen de Sa when she was at the San Jose Mercury News. Indeed, when the Trump Administration started tearing apart families at the Mexican border, it was among the first of many abuses to be exposed. That’s because it’s inevitable. Most of the people who control these children’s lives have no real stake in them. Many are well meaning and genuinely want to help the children. But they don’t love those children. So it’s a lot easier to deal with their trauma by rushing to the prescription pad. It should be no surprise that one of the states that is most callous in its use of foster care to destroy families now is revealed as among those most likely to misuse and overuse psychiatric medication on the children they tear from their homes. And it should be no surprise that this same state does a horrible job of policing how it dispenses these meds. Iowa has a long ugly history of child welfare failure. Year after year Iowa is one of the states most likely to resort to a take-the-child-and-run approach to child welfare. 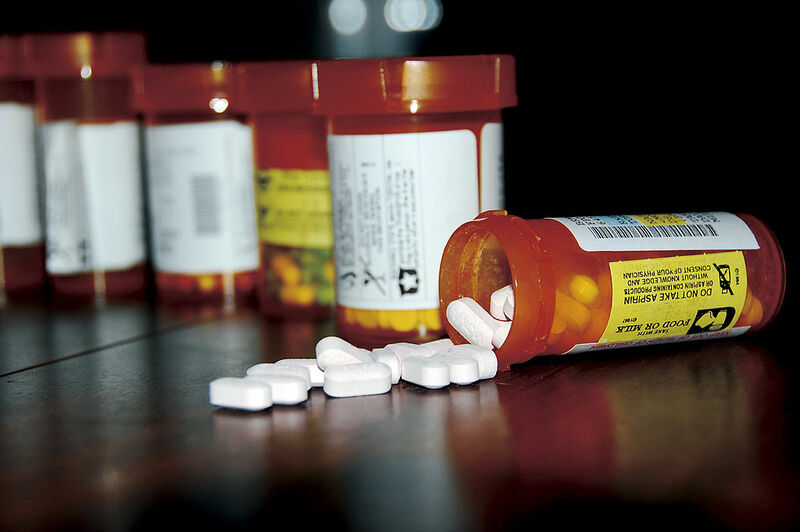 And now, a report from the Department of Health and Human Services Office of the Inspector General shows that Iowa is among the five states most likely to use psychiatric medication on foster children. Using a random sample of cases involving children in foster care during the six months ending March 31, 2015, the report examined the five states at the top of this dismal list. 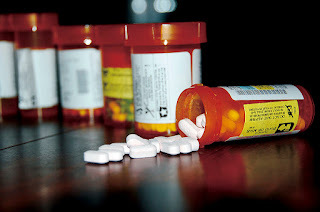 It looked at how their regulations for dispensing these medications compared with national model standards and how each state complied with its own regulations. The other states examined are Maine, New Hampshire, North Dakota and Virginia. The report found that none of the states has controls on the use of these medications that meets national model standards. And none of the states does well at living up to the minimal standards it does have. ● In 72 percent of the cases examined, there was nothing in the case file to indicate the caseworker had documented whether the medication was meeting the child’s needs. ● In 83 percent of the cases examined, there was no evidence that caseworkers even asked the foster parents if the medications were working. ● In 84 percent there was no documentation of why the child was being medicated (which may help explain the other two findings). 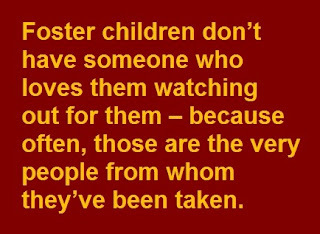 Unlike children from intact families children in foster care often do not have a consistent interested party to coordinate treatment planning or to provide continuous oversight of their mental health treatment. That’s bureaucratese for: Foster children don’t have someone who loves them watching out for them – because often, those are the very people from whom they’ve been taken. This is a lesson we should have learned by now from Florida which, when the late George Sheldon was running the child welfare agency, was particularly aggressive in trying to reduce the overuse of meds. As they dove deep into the data they found something fascinating: When children were placed in kinship foster care, that is, with their own relatives, they were far less likely to be placed on psychiatric meds than they were when placed with strangers or in institutions. Drugging is one more way foster care endangers large numbers of children it is intended to help – and it is one more example of why the only way to “fix” foster care is to have less of it – especially in states like Iowa.